Co-Authored with Cherian George, Head of Infrastructure North America and LatAM. Infrastructure has developed from a niche corner of the bank market some thirty years ago to now become a mainstream asset class. Today, joining banks, are pension funds, insurance companies and sovereign wealth funds that have been attracted to infrastructure investment that can offer long term and stable returns. Interestingly, politicians around the world are promising to address and invest more in ageing and new infrastructure projects as a public policy tool to create and support growth. The asset class evolved over the last two centuries. 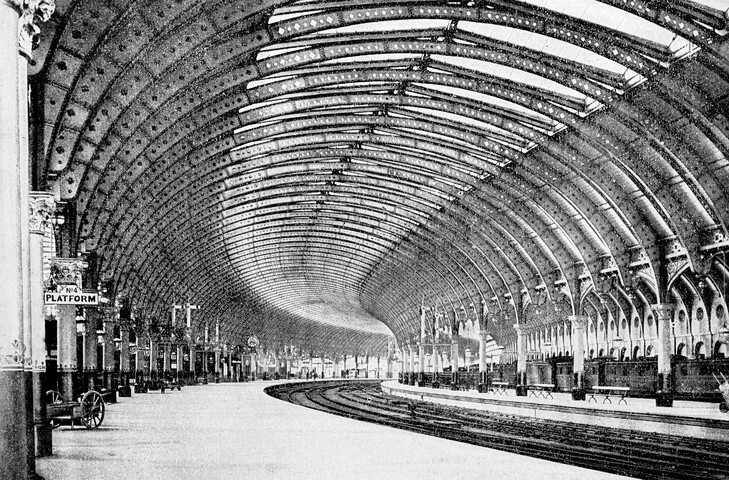 The UK, in the Victorian era, developed key civil infrastructure including the railways as well as the water and sewer networks around the globe — all of which still remain essential assets. Those great projects were financed with bonds bought by individuals expecting high returns — which meant higher risks. Some of these projects faced massive construction overruns and delays and returns assumed rapid take up in utilisation and inflation linked price increases. Despite these issues, projects that became essential, such as the Suez and Panama Canals were finally completed (initially with private funding and subsequently with funding from governments). By the late twentieth century there were two initiatives that the UK government implemented to help develop today’s infrastructure market — privatising utilities and developing the private finance initiative (PFI). Privatisation set up a strong regulated asset base for electricity, water, gas, transmission lines and airport businesses to raise private finance through both debt and equity. 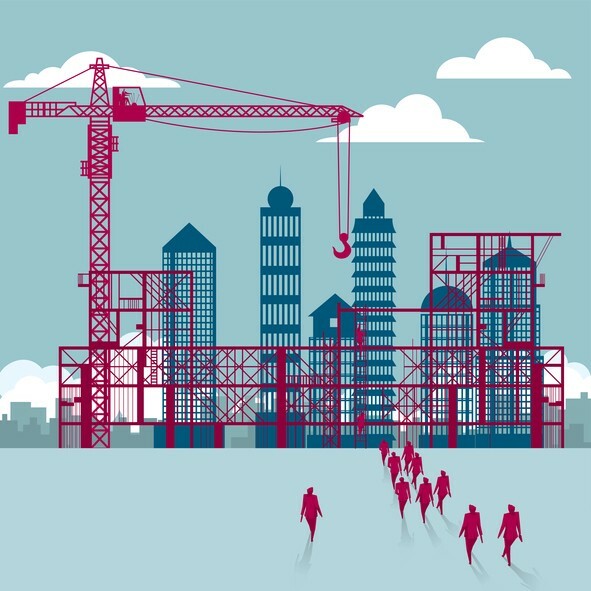 New infrastructure equity players emerged and created a new infrastructure sector for the long-term bond and active bank market. In the mid-1990s, in the wake of demand for diversity and stable investments from pension schemes in Australia, Macquarie launched its flagship listed fund (Macquarie Infrastructure Group), to export infrastructure asset management and investment globally. Now, around the globe, PFI and public private partnerships (PPP) are used to enable many schools, hospitals, prisons and other public sector assets to be built for the benefit of the economy and society. The global financial crisis of 2008 had a further formative influence on the infrastructure finance market. Just before the crisis began, a number of infrastructure assets were bought at many multiples of earnings and were also highly leveraged with short term debt. Investors expected to make high returns on a sale or refinancing within two to three years. A number were successful but post 2008 there were also some assets that needed to undergo debt restructuring (where the short term equity and debt investors lost most or part of their investment). At the same time, many infrastructure long term bondholders were not able to divest and consequently they had to hold on to their investments through this crisis. These bonds actually turned out to be one of the safest parts of their investment portfolios — this reinforced the concept of infrastructure as a safe haven. Emergent from the global financial crisis were numerous new infrastructure platforms seeking either to refinance current assets or fund new assets. These platforms were long term equity and lenders which had learnt from their previous experiences that essential infrastructure assets can endure the inevitable business cycles. Infrastructure players have also developed a better understanding of the various operational risks throughout the life of an asset. New categories such as “economic infrastructure” and “social infrastructure” now exist. Examples of where politicians are promising to invest more in ageing and new infrastructure projects include US, Canada and Australia where the private sector v public sector infrastructure investment takes contrasting approaches. The US has not kept up with the pace of necessary investment in infrastructure to meet the needs of the 21st century. Ageing and increasingly failing infrastructure has resulted in the American Society of Civil Engineers estimating an over a $4 trillion deficit in investment that is needed to bring transportation, energy and social infrastructure up to acceptable standards. This does not consider the fact that many aspects of current infrastructure need to be fundamentally rethought and reformulated to meet the needs of the new economy. The increased focus on private sector investments over the past decade comes largely from the standpoint of limited existing tax and other revenue sources. This has resulted in only a small number of critical projects that were affordable being completed. However, as public-private partnerships have developed and are now becoming operational, the benefits of risk transfer and more reliable long-term asset lifecycle management are being better appreciated. This bodes well for a time when the urgency and political will to invest in essential infrastructure reemerges. Canada, in contrast, began the push to use the private sector to develop and enhance its infrastructure over a decade ago and investments across the public sphere using the private sector are in full swing with considerable public support. The benefits are being seen by the public from operational projects across the country; for troubled projects, the benefits of risk transfer have been seen. While changes in provincial governments have caused slowdowns and rethinking of approaches, the country as a whole continues down a path of greater identification of much-needed financial resources for infrastructure and greater use of the private sector. Interestingly, PPP in Australia has followed a similar path as Canada. However, more conservative States (e.g. Queensland) have not embraced privatisation as wholeheartedly as others. Pushed hard in Australia are the benefits of “asset recycling” (governments selling existing assets and using the proceeds to build new infrastructure) with the federal government (for a couple of years) paying States a 15% premium on the asset sale prices if the proceeds were reinvested in new infrastructure. The need for new or updated infrastructure globally is unquestionable and there is a very strong demand for well-structured infrastructure assets from investors. We are now seeing the infrastructure equity and debt platforms (significantly the Asian sovereign wealth funds) spreading their wings and starting to invest further afield in emerging market infrastructure assets.